David Moyes said his first game as Real Sociedad boss was a "great experience" despite his side being held to a goalless draw at Deportivo La Coruna. The former Everton and Manchester United manager inspired his new team to their first clean sheet of the season, though they have still yet to win away. The Scot, 51, said: "I am very happy to have made my debut in La Liga. "I wanted to win and I am not happy with the draw because we worked hard. But in the end it was a fair result." Moyes, who was sacked by United in April, has signed a contract to June 2016 with the Basque club to replace Jagoba Arrasate, who was dismissed following a poor run. He continued: "It is true that I don't know the players that much, but I am delighted to be here and little by little we will improve." 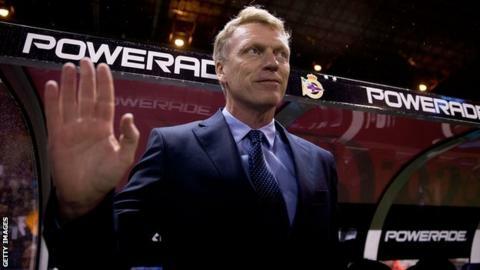 Moyes will make his home bow when Sociedad - 14th in La Liga - host Elche on Friday.